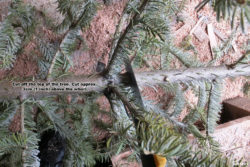 It’s that sad time of the year again, when the Christmas tree that brought so much joy to the whole family gets stripped and thrown out. 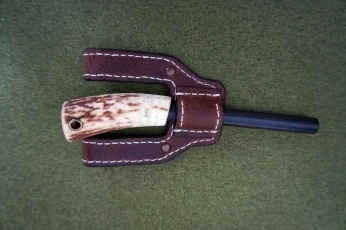 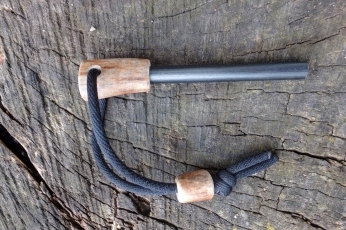 Well, you can’t argue with tradition, I guess, but with a bit of creativity and even less elbow grease you can transform this would-be landfill material into an useful and decorative object: a rustic key hanger. 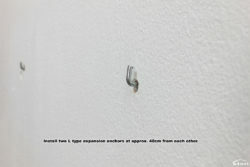 Of course you can skip the last four items on that list and just use your preferred wall mounting method with the appropriate tools and materials. 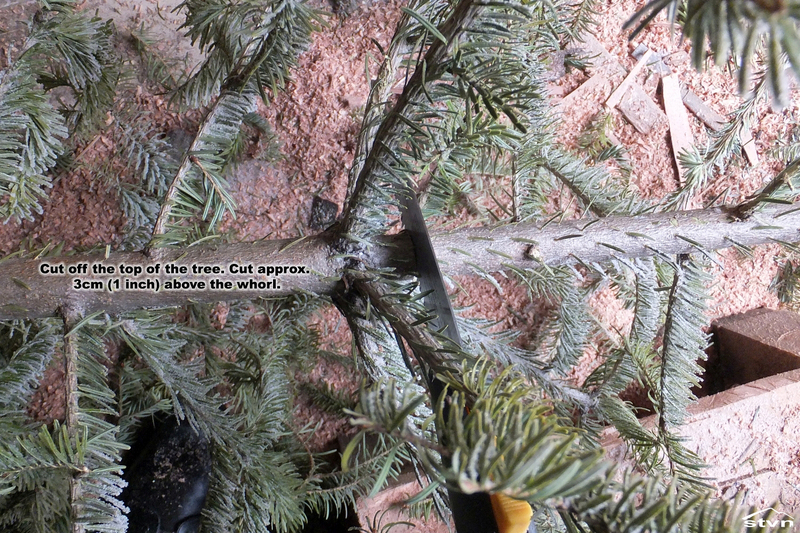 You will need the part of the Christmas tree where the branches join the trunk, apparently it’s called a whorl and that’s the name we’re going to use for it. 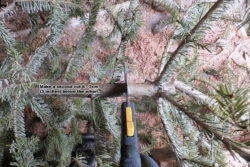 An average 2m (7 feet) high Spruce tree has about 4 whorls, you need to chose the ones that have at least 5 branches, the top one, usually, only has four and the bottom one may be too thick, but there will be at least two usable whorls on every Christmas tree. 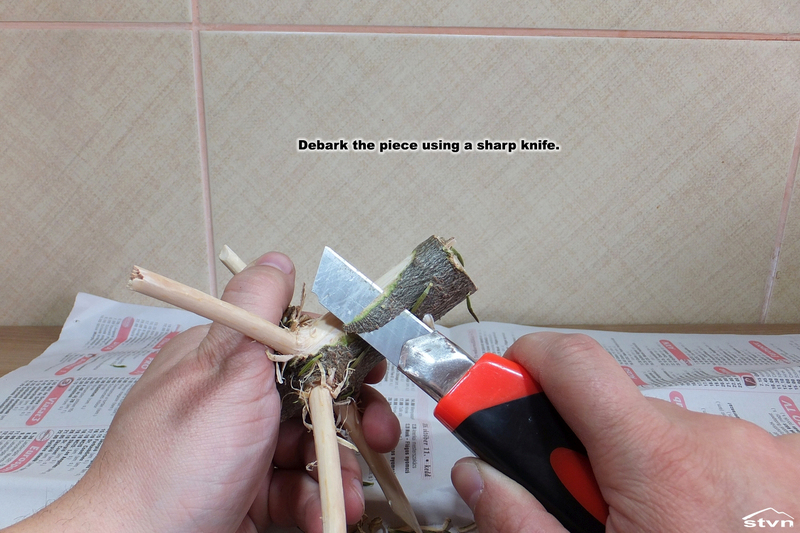 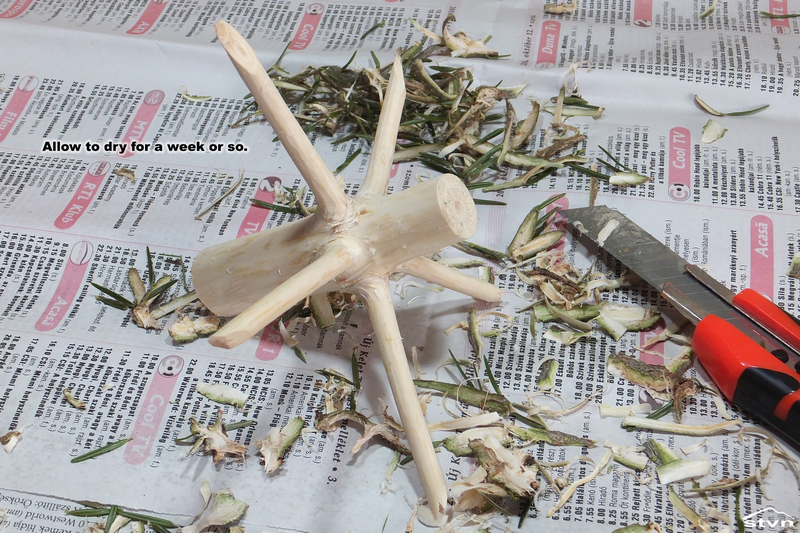 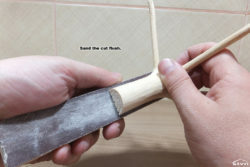 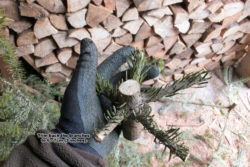 Grab your favorite saw and cut off the top of the tree 2 – 3cm (1 inch) above the first usable whorl, then cut 6 – 7cm (2.5 inches) below the whorl, trim back the branches too, leave only 6 – 7cm (2.5 inches) or so and debark the pieces using a sharp knife. Repeat the previous step for all the whorls and threes you have then let them dry inside for a week. 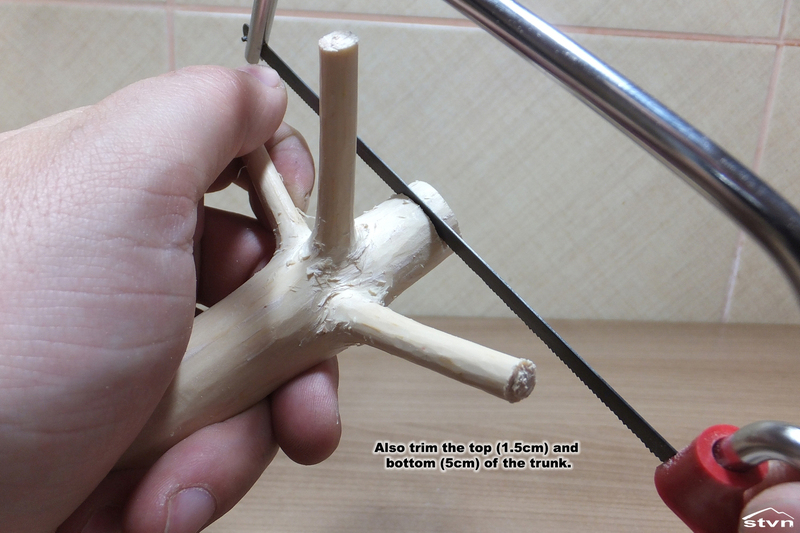 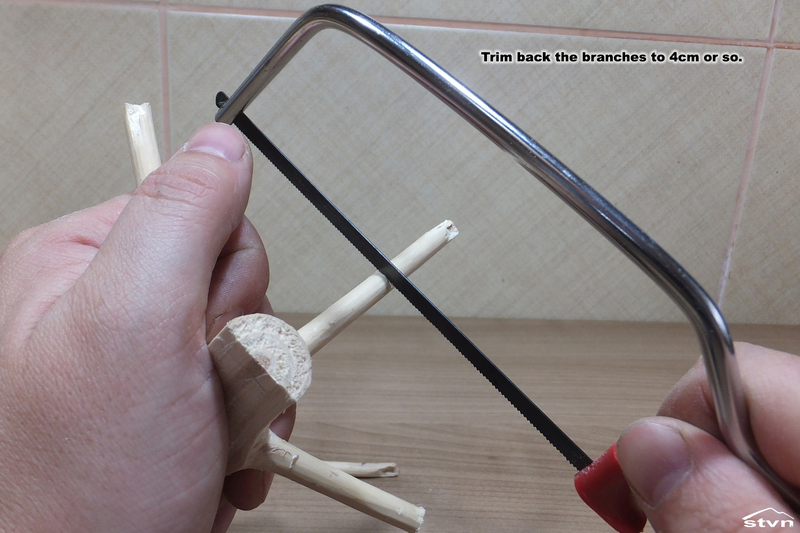 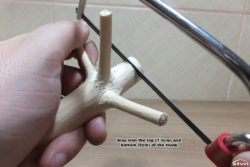 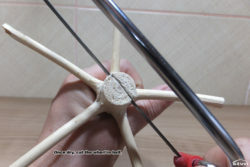 Since you have your saw in your hand anyway, this is the moment when you should cut the hangers to size too, while this is a matter of personal taste and preference, I think that cutting the trunk 1.5cm (3/5 inches) above and 5cm (2 inches) below the whorl makes the hanger look at its best, but feel free to experiment, oh and I also cut back the branches to 4cm (1.6 inches). 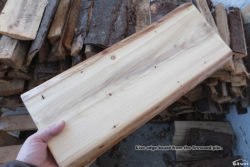 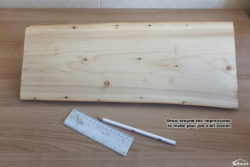 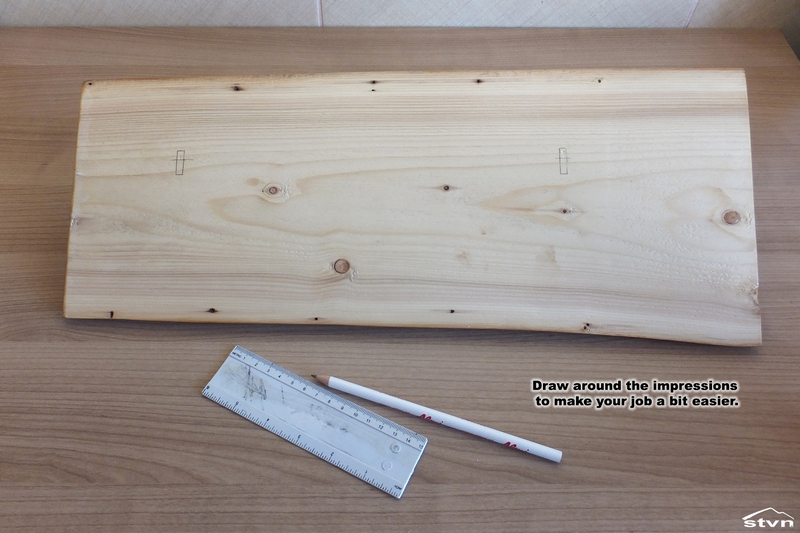 After a good sanding, make sure you round the edges a bit too, it’s time to glue the hangers onto the board, by the way, I used a piece of live edge board that I salvaged from the firewood pile and was about 50cm (20 inches) long and 18cm (7 inches) wide. 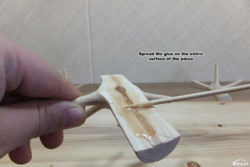 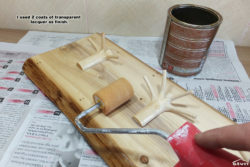 I used epoxy to glue the hangers in place, but I’m sure any good quality wood glue would hold the weight of a few keys, just give the glue time to set (at least overnight) before you apply your finish, solvents might weaken the bond. 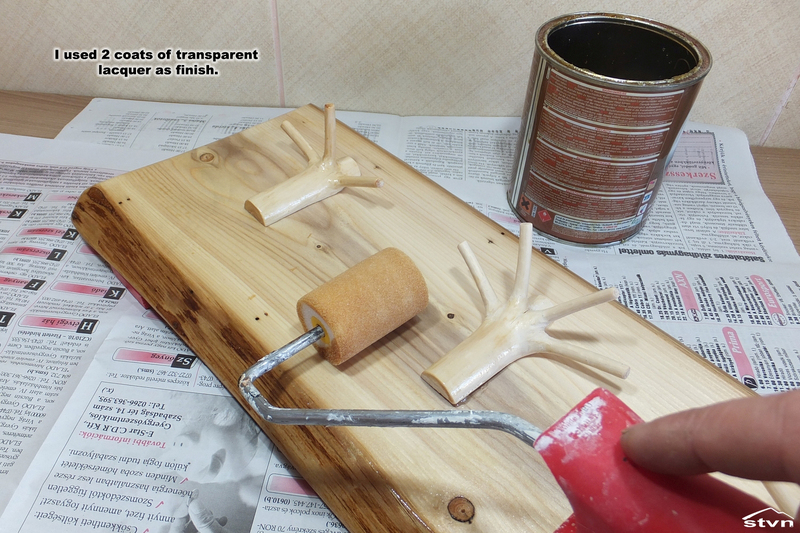 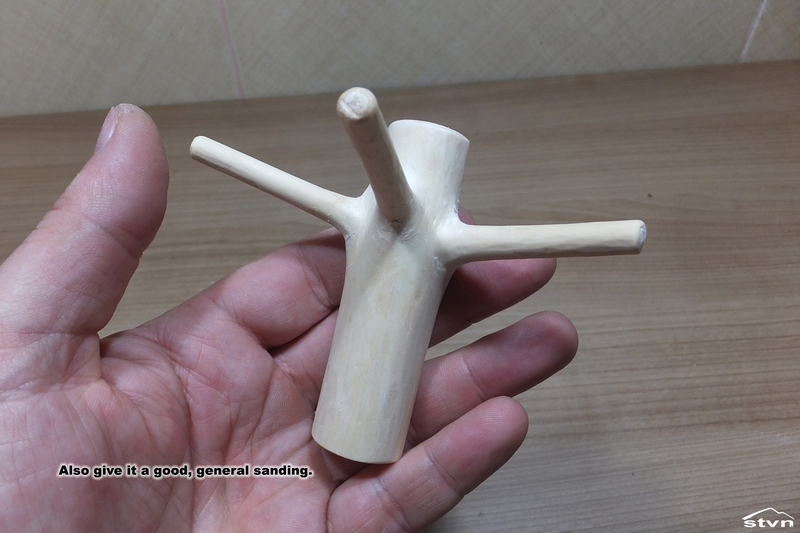 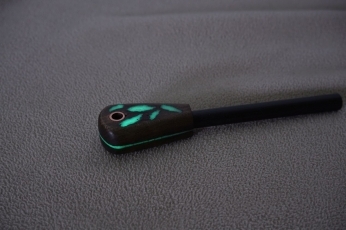 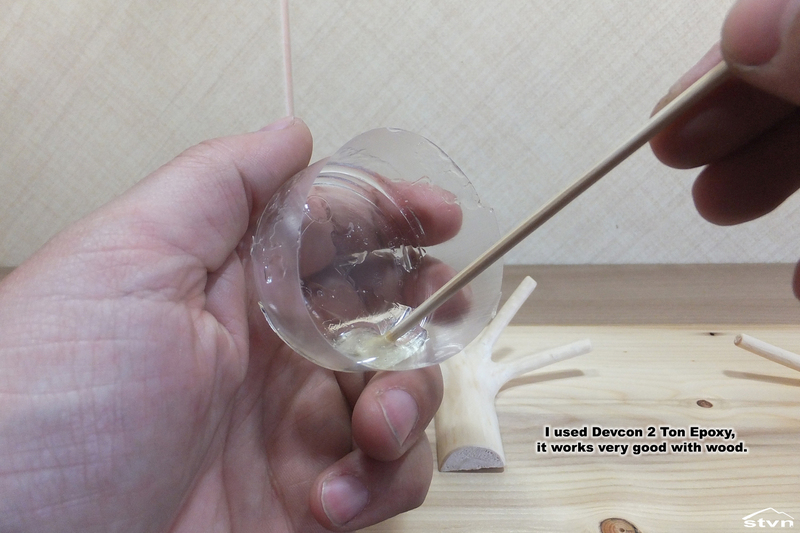 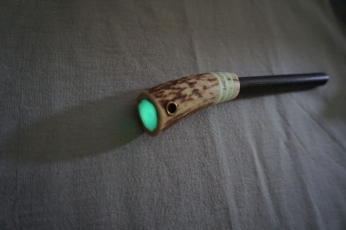 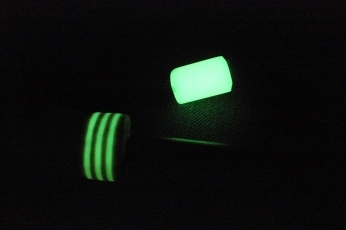 The finish is also a matter of personal preference, I used transparent lacquer because I wanted to keep the natural color of the wood and applied two coats, since the key hanger will be kept inside there’s no need for an expensive, weatherproof finish. 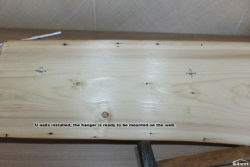 Mark and drill holes for the expansion anchors, the beauty of this method is that you don’t need to measure anything, just eyeball the holes to be level-ish and not farther than 40cm (15 3/4 inches) from each other. 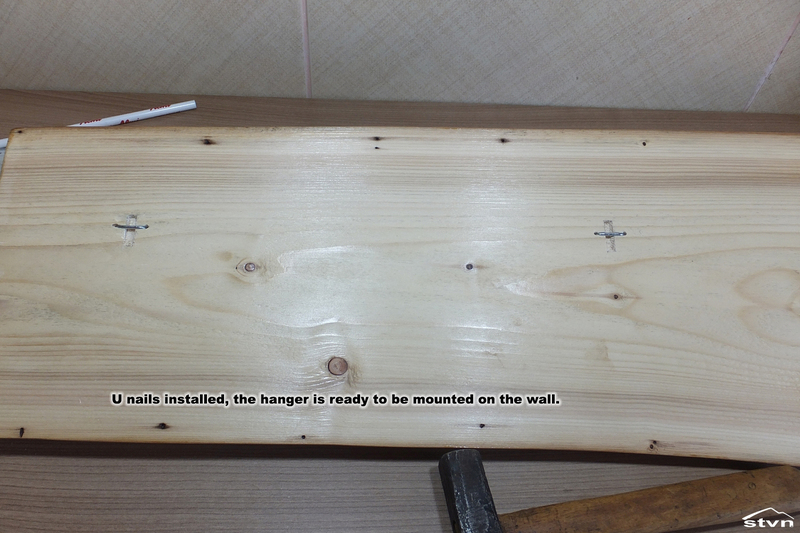 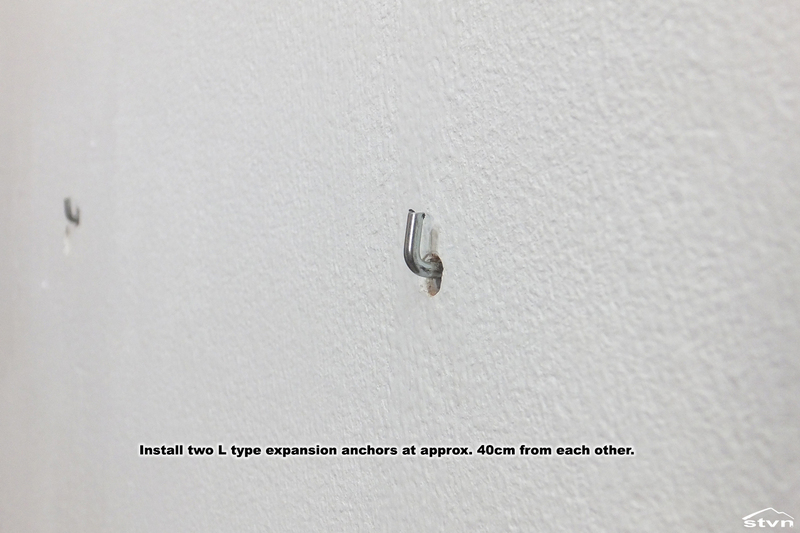 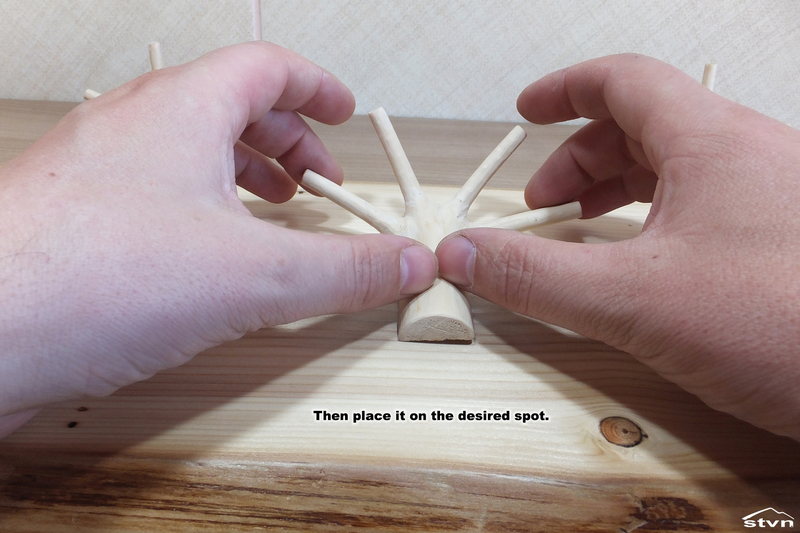 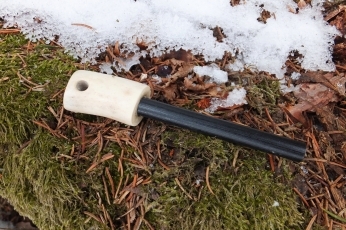 Install the anchors then take the finished key hanger and place it over the anchors, eyeball it that it’s level then press it hard against the anchors’ protruding ends, these will leave impressions in the wood, marking the place where the attachment points will be. Take a small chisel or x-acto knife and carve out the wood around the impressions, a 5mm deep and wide groove will do, the length should be double the length of the anchors’ bent ends, 20mm in my case, to make my job easier I first drew around the impression marks. 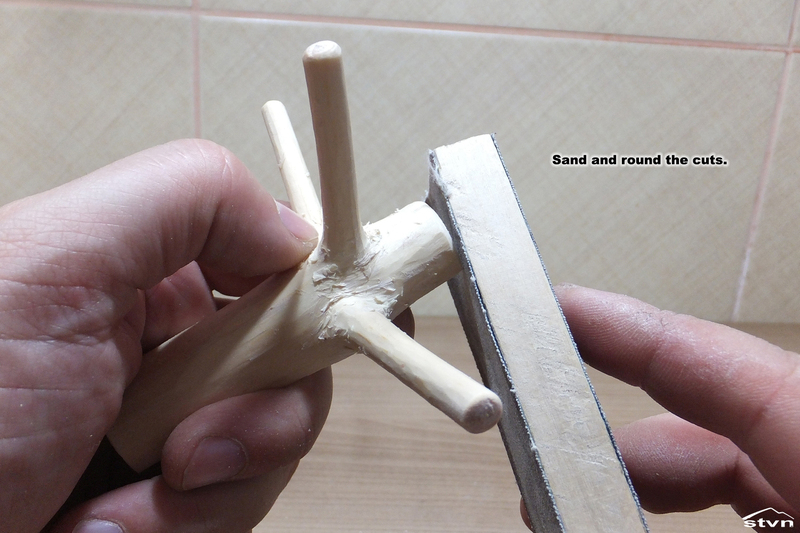 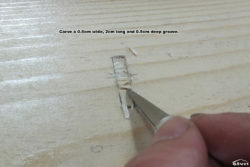 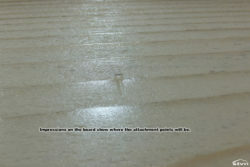 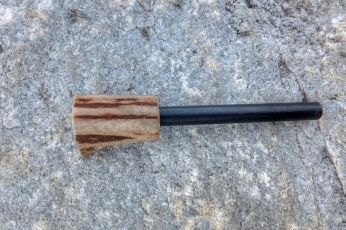 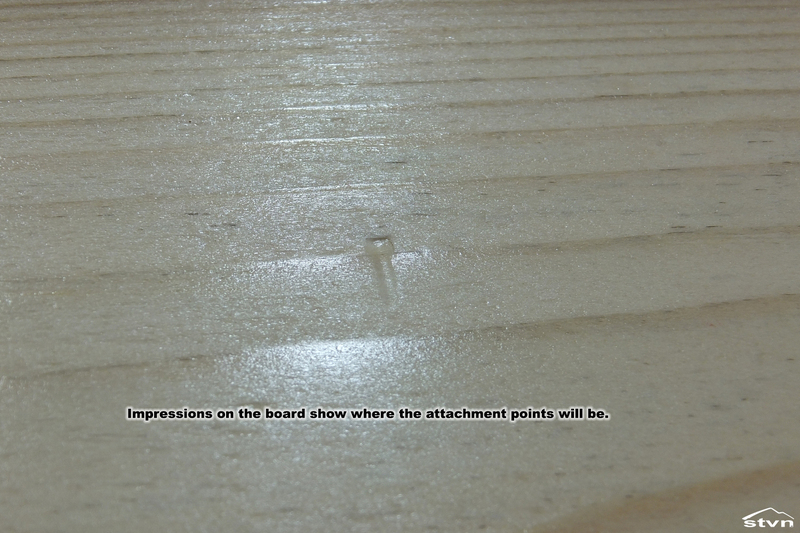 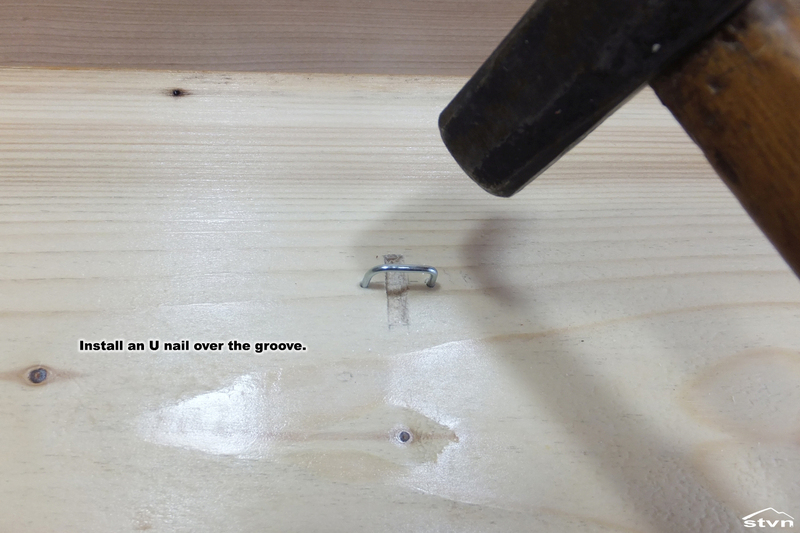 When you are done with the carving, take a U shaped nail and install it over the grooves at the middle of them. 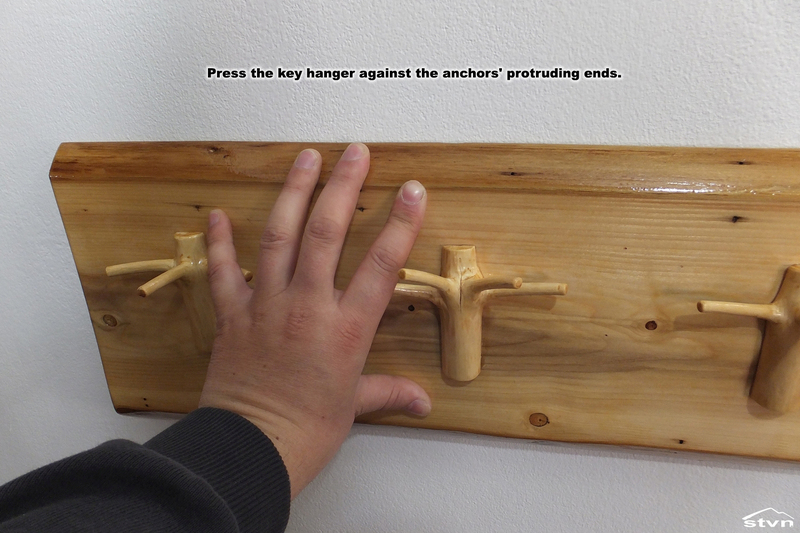 If you did everything right the key hanger can now be securely hanged on the anchors and you’re done, just add keys. 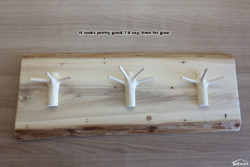 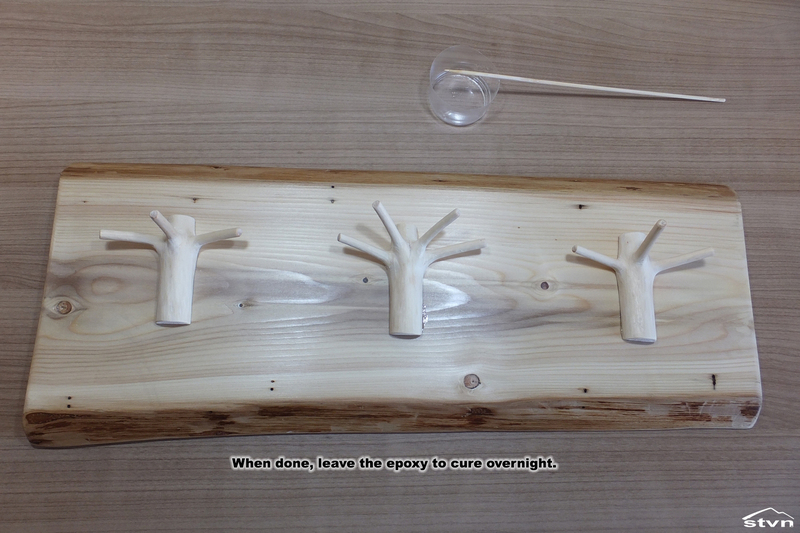 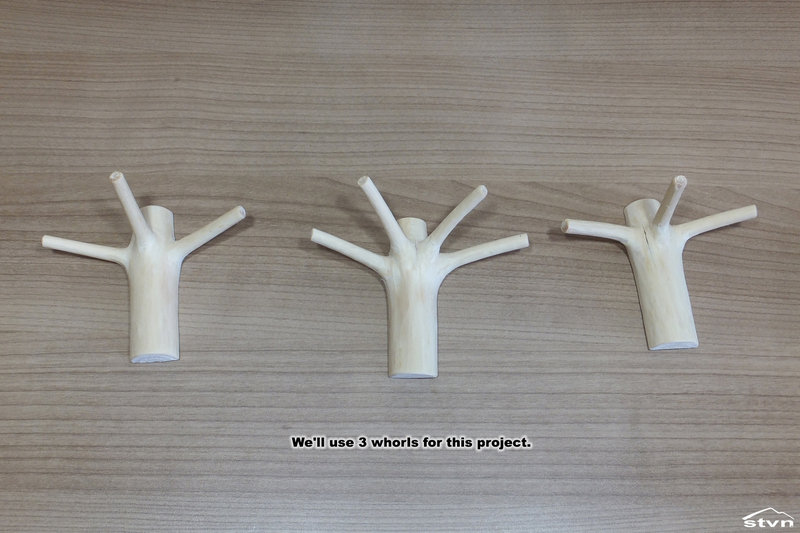 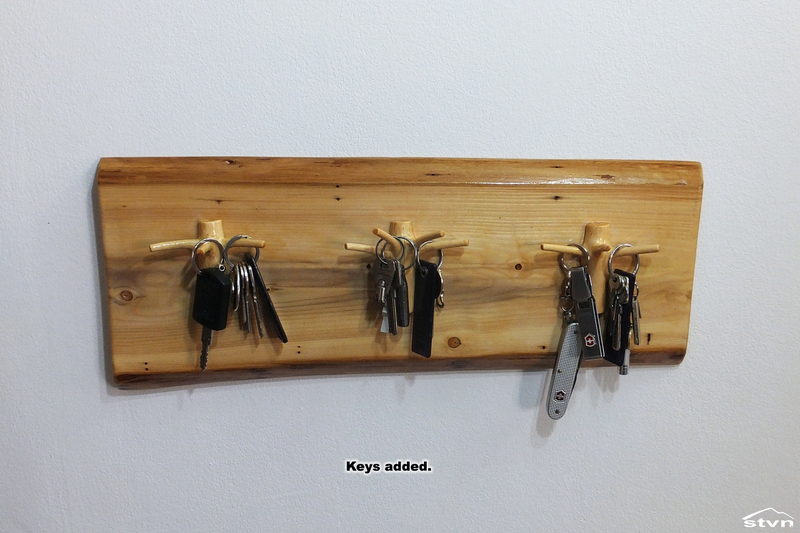 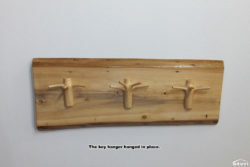 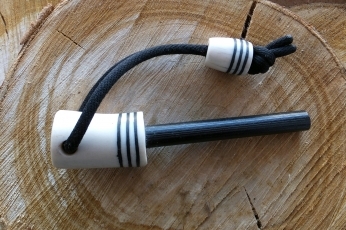 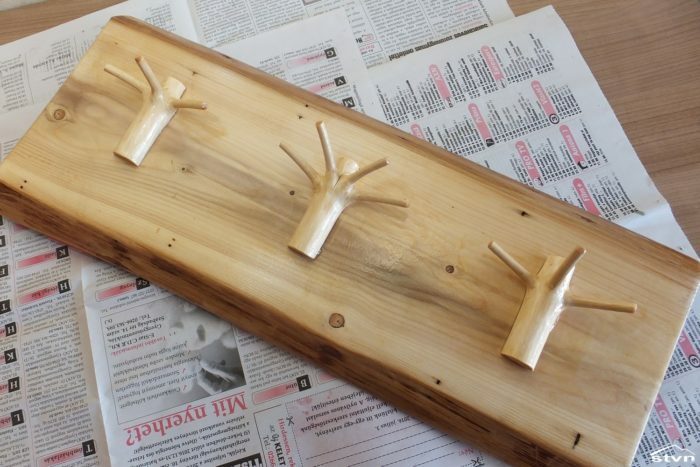 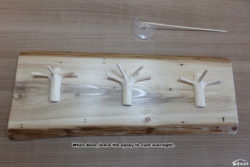 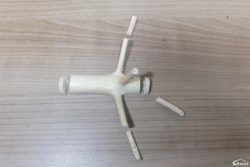 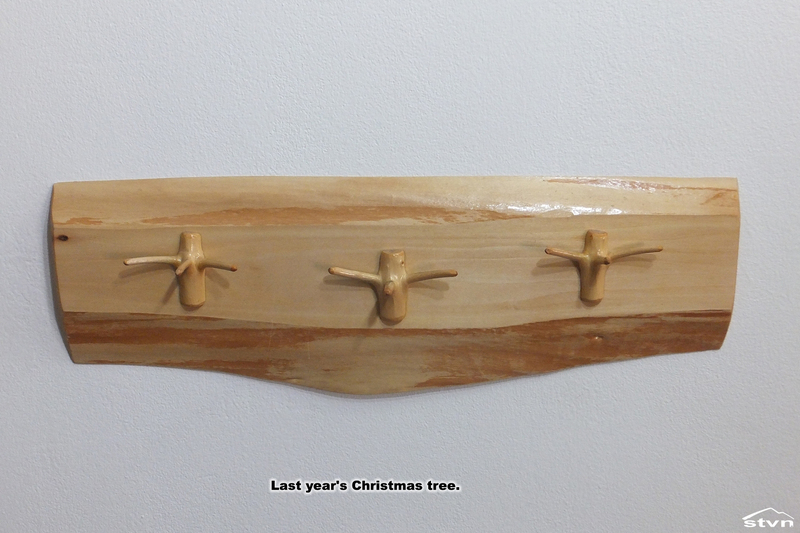 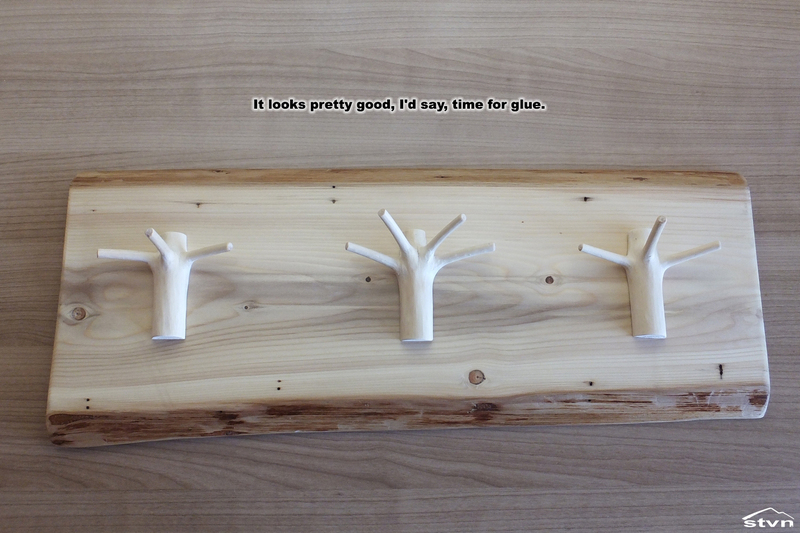 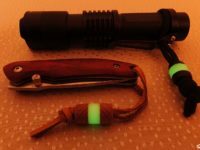 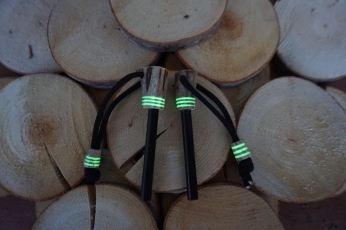 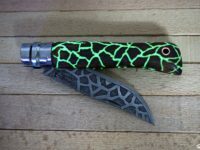 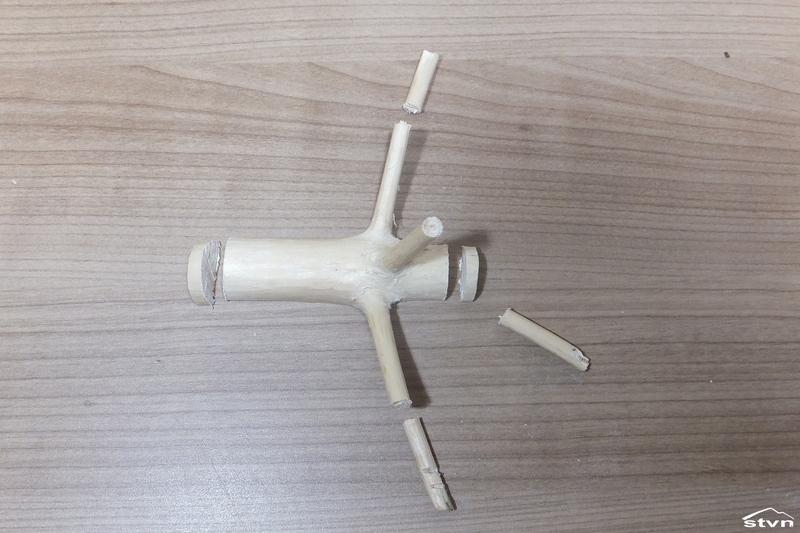 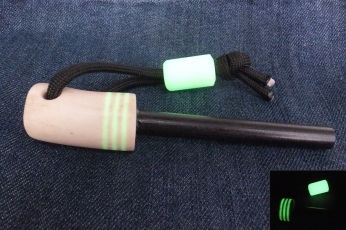 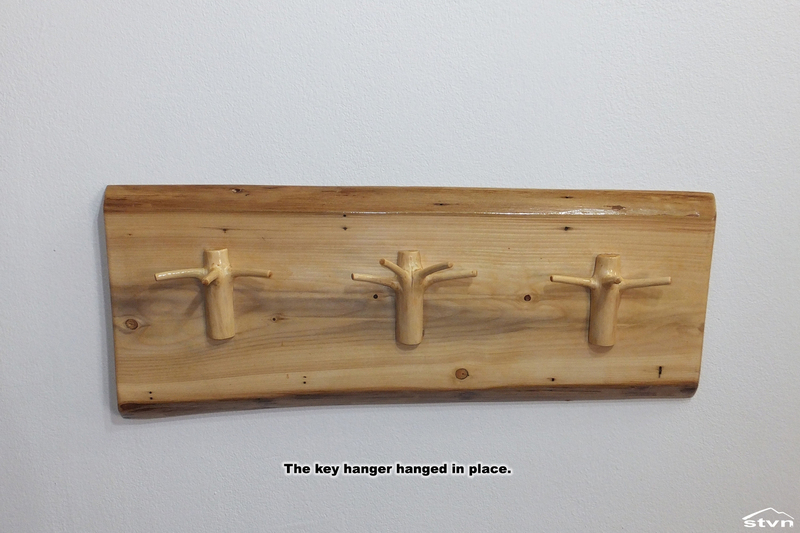 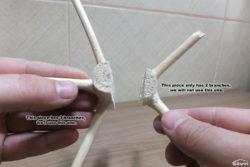 You may copy this article as long as you link back to this page (https://stvn.eu/upcycling-christmas-tree-key-hanger/) or the frontpage (https://stvn.eu).